Hi, I'm Jan . . .
Here’s a little background about us, and how we put this website together. We met in New York City about 23 years ago, got married six years later, moved to South Carolina for a few years, and are now living in Asheville, North Carolina. Jan’s originally from New York. She’s studied medicine, social work, and organizational psychology, and her last job before we left NY was as a training coordinator for a Federal Court in downtown Manhattan. Don is from New Jersey, spent a number of years working as a pianist-composer in New York, then as a psychologist doing all kinds of things from teaching meditation to starting a creative arts program for disabled adults. So how did the site get started? 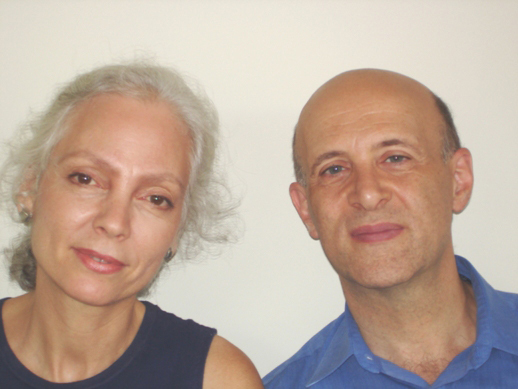 We had both been teaching meditation, pain and stress management classes, for the past 30 years. About a year and a half after teaching meditation together in Greenville, SC, a friend of ours suggested we create a website about mindfulness. It sounded like a great idea and we started thinking about what kinds of things we would include. We knew from the start that we wanted to have lots of music and videos, but spent the first year or so just working on text. While teaching the meditation classes in Greenville, we discovered that explaining how mindfulness relates to the brain made the practice more accessible, easier to understand, and people were more motivated to practice it on their own. So while we were writing pages for the site, we looked at lots of books on the brain and meditation, and found that Dan Siegel’s work was the most vibrant and alive for our purposes. His way of explaining things really helped us tie together everything on the site. We dove into a half dozen of his books, and went online and met other people that Dan had inspired. A year or so later, we had written most of the basic pages for the site. Then the fun started! Jan started teaching herself Apple’s Keynote and Motion programs so she could use them to make video animations, and Don started learning to use “Logic,” a Mac-based music program. Now two years later (February of 2016), we’re in the process of slowly getting the videos and music we spent the last couple of years creating, up on the site. We love working together and have had lots of fun these past four years creating this site. We’re both really excited about the next step, and are looking forward to hearing from you about how you like the music and videos, and how you’re using them.